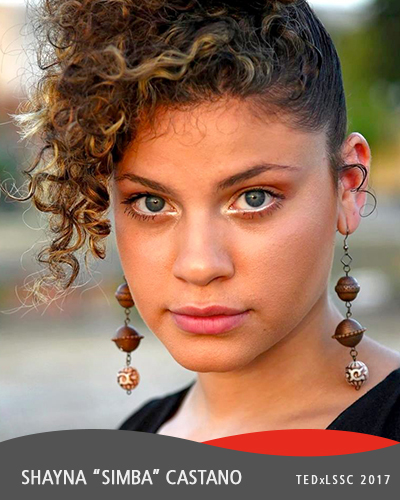 Shayna “Simba” Castano is an internationally established poet and performer who ranked within the top thirty of seventy-six competitors at Women of the World Poetry Slam in 2015. She is also a philanthropist, a mother, a wife, an educator, and a human rights advocate. Castano currently works for Orange County Public Schools as an English Language Arts Teacher while simultaneously operating her non-profit organization, Exodus United Inc. When she is not teaching, Castano spends the majority of her time facilitating Poetry & Pedagogy Workshops at homeless shelters and after-school care for low-income youth.